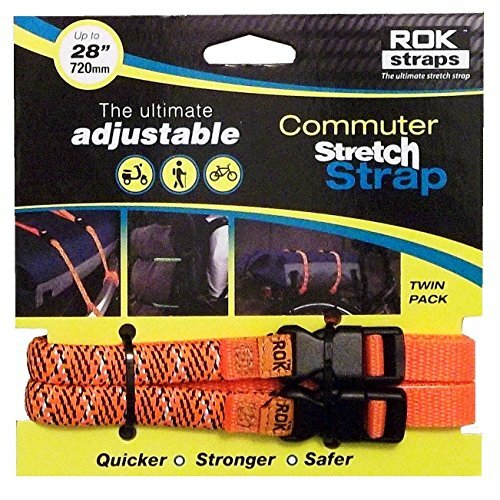 ROK Straps Commuter Reflective Adjustable Straps - Orange by ROK Straps at Sunny Doors. MPN: ROK-10331. Hurry! Limited time offer. Offer valid only while supplies last. The ultimate adjustable commuter stretch strap, Quicker to attach to any part of the framework with loop ends. Just buckle up, tighten and go.